In science fiction, technology can fix anything. With a few scans or probes by a robot, patients are suddenly cured of serious ailments or painful injuries. While modern-day medicine may not be able to help someone in an instant, advances in technology and knowledge of the human body have sped up healing times and made previously difficult problems treatable. Foot care technology has also advanced, offering faster relief to people who need it. The medical field is constantly changing and updating as new techniques and technologies are developed to help people cope with health issues. The podiatry field is no different. Foot care techniques have been advancing rapidly to meet people’s needs, especially over the last few decades. From orthotics to EPAT treatments and injection therapies to laser treatments, conservative measures for chronic conditions and pain have improved. Even surgical techniques have become less invasive while still repairing damage and offering relief. 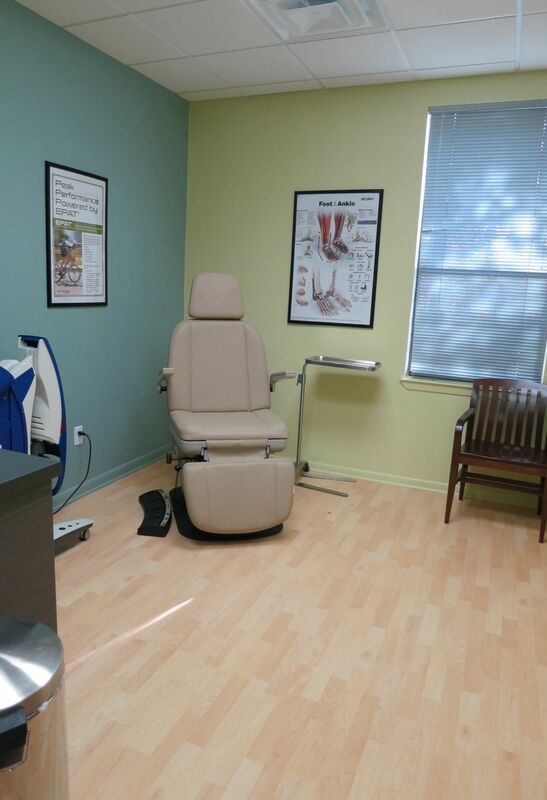 The experts here Austin Foot and Ankle Specialists have worked hard to integrate these cutting edge treatments so we can continue offering the very best remedies to our patients. One area that has seen particular growth is treating heel pain. Heel pain is one of the most common complaints that drive people to seek professional podiatric help. It can also become chronic and hard to eliminate if you don’t come in soon enough. That is why Dr. Craig H. Thomajan DPM, FACFAS opened the Heel Pain Center within their podiatry office: they wanted to offer more targeted treatments to those suffering from uncomfortable heels. They recognized a need among their patients and found a way to meet it. Orthotics – A traditional approach to correcting uncomfortable feet, prescription inserts are able to support foot structures and control any abnormal movement that may have led to the pain. These have been employed successfully by thousands of people. EPAT – Extracorporeal Pulse Activation Technology (EPAT) uses pressure stimulation to repair damaged tissues and relieve discomfort. Waves of energy are directed into the painful area, stimulating the body’s natural repair systems and speeding your recovery. Platelet Rich Plasma Therapy – This treatment uses plasma taken from your own blood. The platelets in the plasma are activated, then injected into the injured heel. The activated solution releases its concentrated growth factors to stimulate repair and cell growth. MLS Pain Laser Technology – This therapy uses lasers to decrease inflammation and stimulate healing in damaged tissues. It uses intense light to penetrate the body and reach the painful areas. Endoscopic Plantar Fasciotomy – A minimally invasive plantar fascia release surgery, this involves a tiny incision in the heel. The tightened tendon is released, reducing the pressure on the heel bone. Since the cut is so small, recovery time from the whole procedure is significantly quicker than for a traditional surgery. If you’re suffering from heel pain, the experienced podiatrists at Austin Foot and Ankle Specialists can help you find the best solution to relieve your discomfort and restore your feet to full health. The sooner the condition is addressed, the more quickly you can walk pain-free. The vast majority of cases involving uncomfortable heels are remedied using conservative treatments, so don’t let the idea of surgery keep you from getting the help you need. Even if surgery is required, Dr. Craig H. Thomajan DPM, FACFAS can take you safely through the whole process. Advances in foot care technology have made remedying lower limb pain easier than ever before. Don’t put up with painful feet when you don’t have to. Contact Austin Foot and Ankle Specialists for an appointment or more information about cutting-edge therapies that could help you. Call (512) 328-8900 or visit the online contact page to reach us.